Impressive pendant lamp with 60 illuminated globes. Please note: Delivery without bulb. Please order separately if required (60 pieces required). 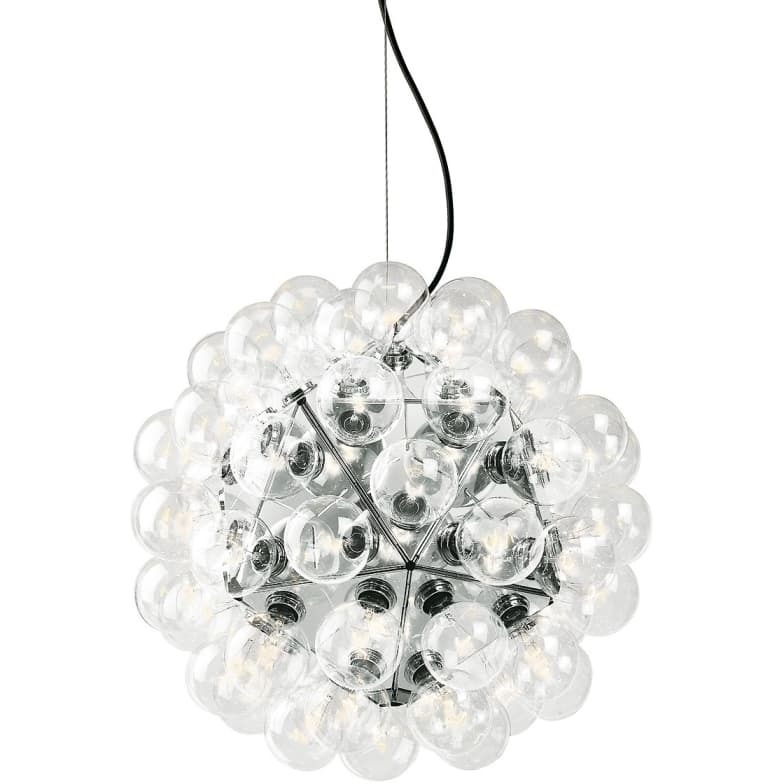 Impressive pendant luminaire with 60 globes for direct and reflected light. Based on a design by Achille Castiglioni. Structure composed of 20 triangles in polished cast aluminium. 60 globe lamps, arranged on the structure. Steel ceiling mounting and canopy. individual lighting that satisfies with the highest design. Do you have a question about "Taraxacum 88 S1"? How can we contact you?